Do you need practice and review of Kindergarten Math skills? 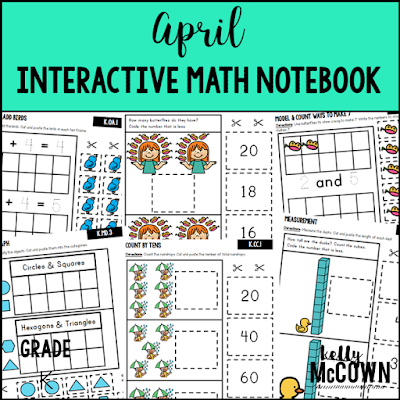 Do you want to change up your lessons with interactive math materials? 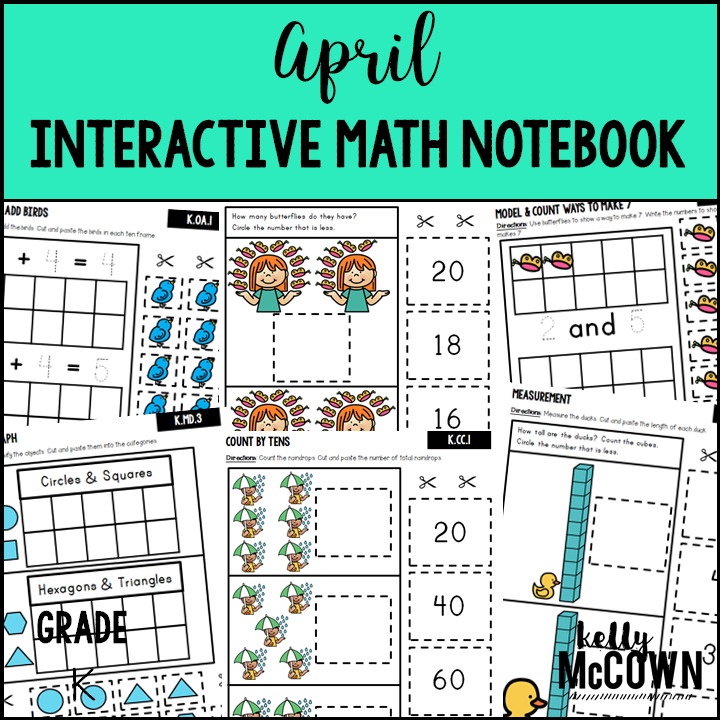 These interactive notebook activities are intended to help students understand how to decompose numbers less than or equal to 10 into pairs in more than one way, write numbers from 0 to 20, understand the relationships between numbers and quantities, count “how many?”, identify whether the number of objects is greater than, less than, or equal to, compare two numbers between 1 and 10, add & subtract with objects, solve addition and subtraction word problems, fluently add and subtract within 5, and compose and decompose numbers from 11 to 19, count to 100 by ones and by tens, count forward beginning from a given number, correctly name shapes, analyze & compare shapes, identify shapes as two-dimensional (lying in a plane, "flat") or three-dimensional ("solid"), Describe measurable attributes of objects, such as length or weight, describe several measurable attributes of a single object, and directly compare two objects with a measurable attribute in common, to see which object has "more of"/"less of" the attribute, and describe the difference. Cutting out the manipulatives. High Quality Clipart Images. Gluing into their notebooks with precision and taking ownership of their work. Reviewing key skills and demonstrating mastery with review. 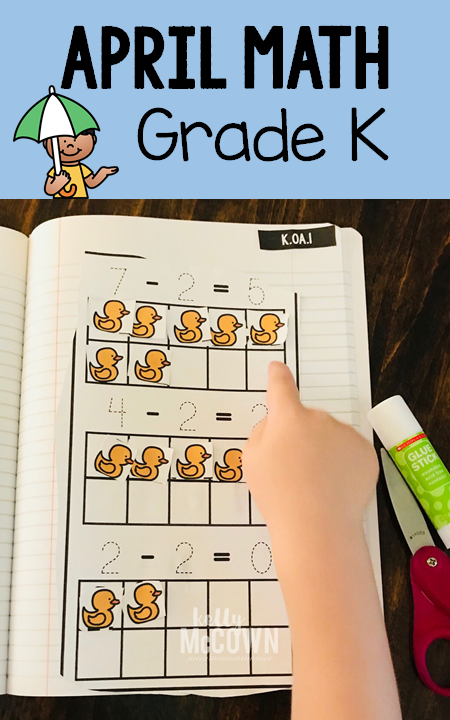 CCSS.Math.Content.K.OA.A.1Represent addition and subtraction with objects, fingers, mental images, drawings1, sounds (e.g., claps), acting out situations, verbal explanations, expressions, or equations. CCSS.Math.Content.K.OA.A.2Solve addition and subtraction word problems, and add and subtract within 10, e.g., by using objects or drawings to represent the problem. CCSS.Math.Content.K.OA.A.4For any number from 1 to 9, find the number that makes 10 when added to the given number, e.g., by using objects or drawings, and record the answer with a drawing or equation. CCSS.Math.Content.K.OA.A.5Fluently add and subtract within 5. CCSS.Math.Content.K.CC.A.1Count to 100 by ones and by tens. CCSS.Math.Content.K.CC.A.2Count forward beginning from a given number within the known sequence (instead of having to begin at 1). CCSS.Math.Content.K.NBT.A.1Compose and decompose numbers from 11 to 19 into ten ones and some further ones, e.g., by using objects or drawings, and record each composition or decomposition by a drawing or equation (such as 18 = 10 + 8); understand that these numbers are composed of ten ones and one, two, three, four, five, six, seven, eight, or nine ones. CCSS.Math.Content.K.G.A.2Correctly name shapes regardless of their orientations or overall size. CCSS.Math.Content.K.G.B.4Analyze and compare two- and three-dimensional shapes, in different sizes and orientations, using informal language to describe their similarities, differences, parts (e.g., number of sides and vertices/"corners") and other attributes (e.g., having sides of equal length). Reviewing math skills with different methods deepens students' conceptual knowledge. Other teachers have used these materials for RTI and review to help students develop mastery. I hope your students enjoy learning and engaging with these math skills too!